Today I decided to bring you some of the most curious details about your favorite comics and their creators. Data that few people know, or for some reason still ignore. From DC Comics’ attempt to cancel Batman to the fact that the first Marvel comic and DC Comics were made by the same person. A review of the history of one of our favorite forms of entertainment. 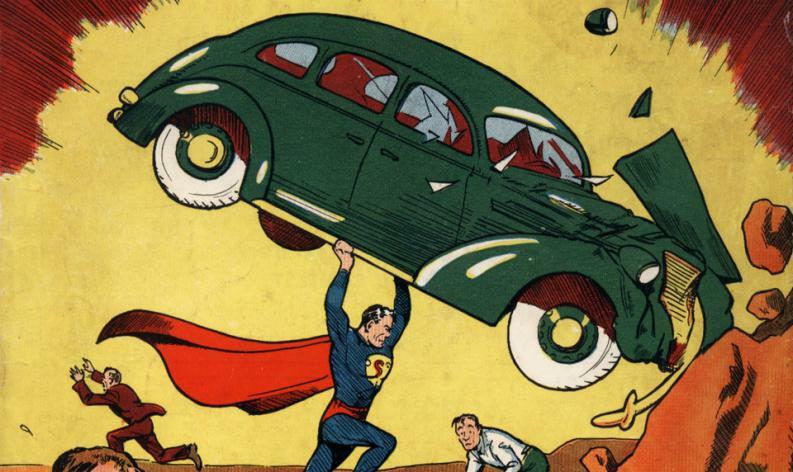 The character of Superman was rejected numerous times, but the writer Jerry Siegel and the artist Joe Shuster did not surrender, they learned of the rejections and they perfected his technique. Thus, Superman became a reference character for the world of comics. If Humor Publishing Company had edited the first version of Superman, maybe today we would not be talking about this character. The magazine in the end had a poor distribution and the pair had to continue working in Superman until finally National Comics (today DC) decided to give it a chance. In February 1935 National Comics (now DC) launched New Fun Comics, the first magazine with original material, unlike other magazines that collected comic strips from newspapers. There were no superheroes; these newcomers arrived at number # 52 with Specter. The editor was Lloyd Jacquet, who years later would also work for Marvel. Marvel Comics # 1 introduced characters like Human Torch, Submariner and Angel. They were characters created by freelance writers from Funnies Inc., a company in which Lloyd Jacquet was the editor himself, who participated in the first issues of Specter, Aquaman and Green Arrow. While Superman served as inspiration for numerous superheroes in disguise, he was not the first to use a disguise to hide his identity. 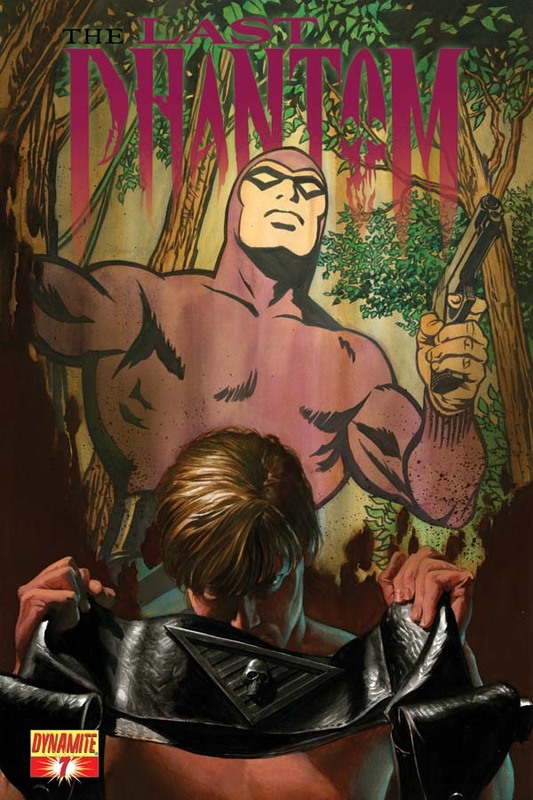 Phantom, “The Walking Ghost”, by Lee Falk is the one who holds that title. Phantom first appeared in 1936, in a newspaper comic strip, illustrated by Ray Moore. While he lacks special powers, beyond his physical abilities and instincts, he was the first hero to wear a disguise and mask, as well as hide his pupils. Kit Walker, his true identity, promised to avenge his father after he was killed, and lives in a secret cave called Skull Cave. Any similarity with Batman is pure coincidence. Before Captain America there was another superhero who had a suit with bars and stars, and also used a kind of shield in his armor. His name was Shield and he belonged to MLJ Publishing. 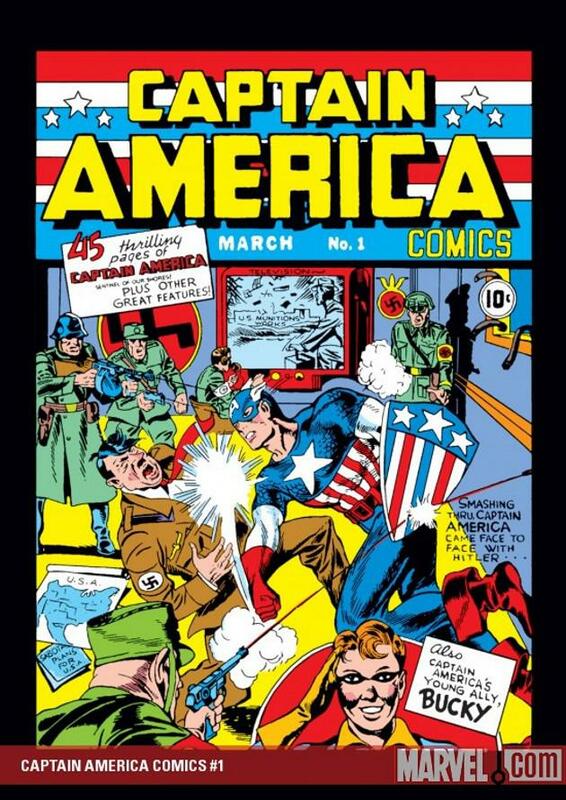 In 1941 appeared Captain America, who had a suit and a shield so similar that the one in charge of publishing the comic Shield threatened to sue to Timely Comics (current Marvel). To avoid complications, in Timely Comics decided to change the design of the shield so that it did not resemble that of Shield. Jack Kirby, co-creator of the Cap, had to redraw the second number to add the changes, and since then the hero of Marvel has its classic round shield. However, his biggest contribution to pop culture is related to comics. In 1938 he was hired by National Publishing (now DC) to design logos for his first line of comics. Schnapp created the logos of Action Comics and also perfected the Superman logo of Siegel and Shuster. Schnapp worked for more than 30 years in DC Comics and created dozens of logos for characters like Flash, Green Lantern and Hawkman. Marvel’s publisher Martin Goodman hated the idea of ​​a superhero with insect powers. When Stan Lee and Steve Ditko came up with the idea, Goodman did not want to waste time. 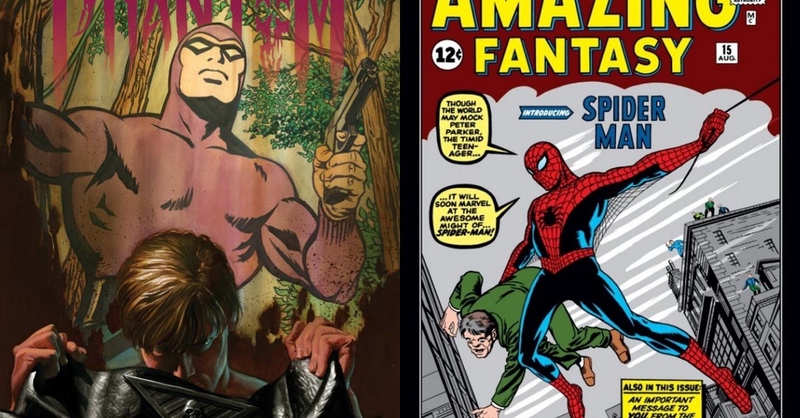 He let them use the idea of ​​Spider-Man in Amazing Fantasy, a magazine that was about to be canceled and for which he needed stories to fill the last pages. 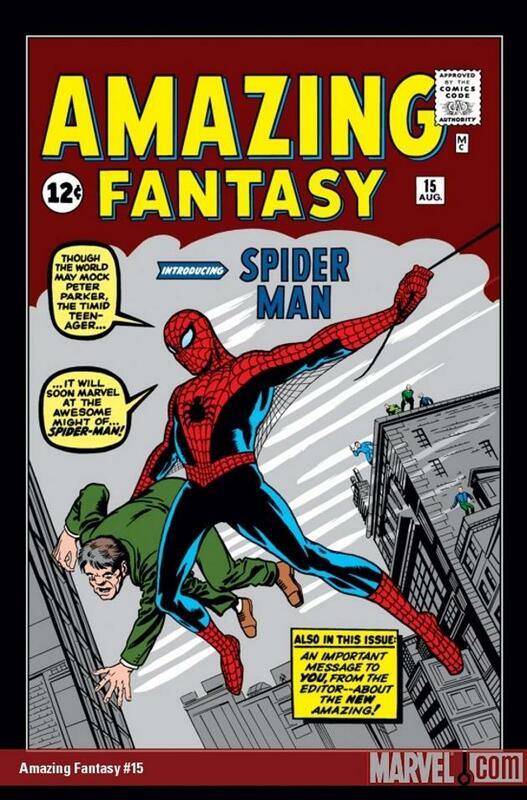 Amazing Fantasy # 15, the last issue of the magazine, featured a cover page for the first time Spider-Man. The magazine was canceled and months later, when seeing the numbers of sales, it was decided that Spider-Man had its own comic. During the 1950s many comic book publishers operated their own distributors, DC, Charlton and Atlas among them. Martin Goodman, of Atlas, decided to stop worrying about the distribution and signed an agreement with American News Distributor, but in the middle of 1956 the company broke and he / she could not arrive its comics to thousands of readers. In DC he was offered distribution, as a way to get money out of the numerous comics that Goodman had to distribute through his sister company Independent News. Until 1968 Atlas published its comics thus. 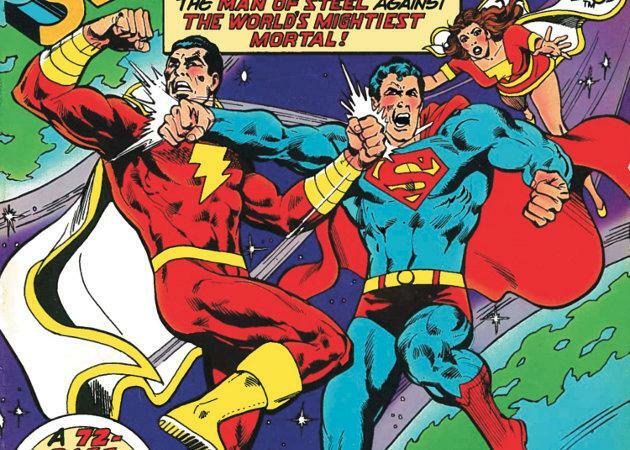 Later it would become Marvel, so DC kept alive its main competitor. At some point DC and Marvel realized that the word “superhero” was very important to identify the characters they had created. As both publishers used the word a lot and it was difficult to decide who owned it, the two companies made a joint request for their rights in 1979. Today no other company can use the word superhero in the title of a comic or in collectibles. Yes they can do it inside the comic, but the word is restricted for many uses. And you? what other curiosities do you know?